Looking for an exclusive look for the tree this year? Need a particular gift item for that hard to find person? 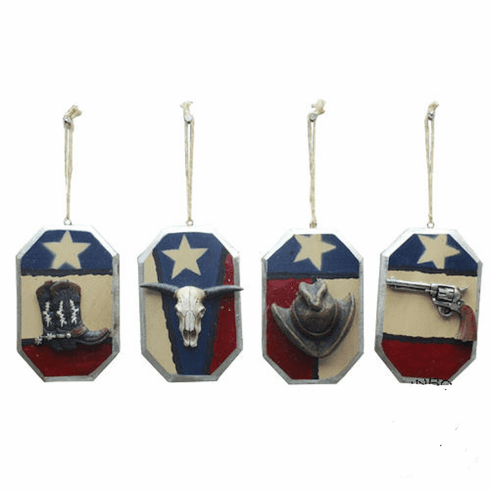 Each ornament is made from wood and painted red white and blue with the Texas Star. Each ornament is a different theme, boot,longhorn skull,cowboy hat and six shooter revolver.